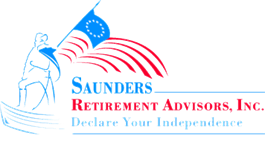 Insuring Retirement Income | Saunders Retirement Advisors, Inc.
ls Your Retirement lncome lnsured? Insurance is a service that no one has to use. You don't have to buy disability insurance, long-term care insurance, life insurance or health insurance. Unless you have a loan on your car or your home, you don't have to buy insurance on those items either. You can save a lot of money by forgoing insurance, but the trade off is that you'll be exposing yourself to a lot of risk. Have you ever wondered why banks require buyers of houses or cars to take out insurance on those items when they lend the money to buy them? lt's because banks are not willing to take the risk of the owner losing the item and being catastrophically affected to the point that they can't finish paying off the loan. You may have heard it said that your home is your largest asset. But when you stop and think about it, for many people, their retirement plan is actuality their largest asset. Early retirees may spend as many years drawing income from their retirement funds as they did working. During retirement, you may not keep the same house or car, but you will need income every month for the rest of your life. Maybe you're lucky enough to receive monthly pension income from your former employer. And maybe you also have an employer savings program, such as a 401(k). Most companies have done away with pensions because of their high cost. lf you are lucky enough to have a pension, chances are the person replacing you won't. They will have something like a 401(k) savings account. Shorty after they retire, they will receive those funds and they must invest them in whatever plan (with whatever rate) is available at that time. ln addition, employers have to hire an actuarial firm each year to recalculate how much to put aside to fund the pension. ln years when investment returns are high and average life expectancy is short, the amounts are relatively small. But, when life expectancy goes up and returns go down, employers have to set aside much bigger amounts to fund those fixed future costs. Private employers are not allowed to put off funding until later or hope for the best. Once 401(k) plans became available, employers found it much cheaper to allow the retiree to take all the market and longevity risks. So now the tables are turned. lt's up to the retiree to make the funds last a lifetime. Depending on the investments (you have to choose them now) and the amount you withdraw for income, you run the risk of completely depleting the account during your lifetime. Here's the good news. The same insurance companies that employers depend on for pensions, have many alternatives for employees to insure their retirement plan income for life. Remember, most investments (mutual funds, stocks, CDs, etc.) cannot be insured for life. When you insure your retirement income, you pay a small fee to guard against a catastrophic loss or the risk that you may live far longer than you expected.